Gone are some familiar names on the Phillies from last year. Pat Burrell, and now Geoff Jenkins joins the list as 'former' Phillies. The Phillies added some new names to the team, and with less than a week to go till opening day, the Phillies continue to send players down to the minors and tweak the team toward the first game that counts in '09. Change is a thing that a lot of fans don't like, but with Phillies winning the World Series last year, the fans can put up with these roster changes a bit better than before in years when the Phillies weren't winning very much. Bringing in high paid journeymen to fill positions is the way a lot of teams deal with vacancies that they have. The Phillies now have a lot of players that have been through the Phillies farm system, and are big stars in their own right now on the MLB stage. Chan Ho Park has been named the Phils 5th starter, and JA Happ is still hanging around so not much is known what his fate will be. A team may be interested in him, if he is offered in trade or the Phillies may keep him again in the minors although he seems like he is capable of being a pitcher on a big league club somewhere. Time will tell how this recession we are in will impact baseball. One thing is for sure, the Phillies fans will arrive in droves this year and for a couple years to come to celebrate the World Series win. The World Series win was just what Phillies fans needed to make them forget about how many millions of dollars the team is paying some of them and how much they just paid for that ballpark beer, ouch... you could have got a cold six pack for what they charge for just one beer at the park. That link is for tonight's show, all shows will be available here on fightinphillies.com live after tonight's show. So join Rich Baxter, Jim Mulry, and Mike Berquist for tonight's Phillies Talk show. This is one area where I can say without a doubt the Phillies probably have the best player in his own position in baseball, of course Jimmy Rollins. Jimmy is my favorite player on the team and has been for a couple of years. His play sets the tone for the team. He hustles 99% of the time, and when he doesn’t it is easily seen as was last year with a few miscues which weren’t that bad in my opinion. Rollins I feel is also one of the most underrated players in the game, he won the MVP for a reason two years ago in 2007 and he is probably the best Phillies shortstop to play the game in the modern age. No disrespect to Larry Bowa, but I think even Bowa would admit that Jimmy is the full package and deserves the recognition as the best shortstop to play for the Phillies. Looking around the NL East at the other shortstops we have talented players but no one can hold a candle to what Jimmy Rollins has done in the past for his team and what he’ll continue to do in the seasons to come. Phillies - (my 1st overall pick in the NL East) – Jimmy Rollins.. aka J-Roll. He has had a couple of rare missteps with Manuel last year, but this year I don’t think you’ll see any of that from Jimmy. One of the best players on the team, gets the team motivated, and puts up huge offense and stellar defense. Mets - (my 2nd overall pick in the NL East) Jose was born when I graduated high school, god that makes me feel old! He was signed by the Mets as an amateur free agent in 1999. This year will be his 7th season as a NY Mets player, he broke into the league in 2003. He’s a play maker, but I feel he is too full of himself, he needs to get back down to earth in relation to thinking he’s so great, when he really isn’t what I would call a superstar. He’s a two time All Star, and he’s my pick for the 2nd best in the NL East for shortstop. Braves - (my 4th overall pick in the NL East) Yunel Escobar is a young player born in Cuba, who should excel this season. Lackluster numbers though last year puts him down toward the bottom of my overall picks for NL East shortstops. Nationals – ( my 3rd overall pick in the NL East) Cristian Guzman – a so-so player that has hit the most number of triples in the American League by a player for three seasons when he played with Minnesota in ‘00 - ‘01 & ‘03 – has hit for a good average in his batting average last year, but not too many HR’s or RBI’s. He’s a two time all star pick though, so he’s got some moxie that carries along with that credential. Marlins – (my tie for 1st overall pick in NL East) Hanley Ramirez – what more can you say about the talent of Hanley Ramirez. He’s only going to be playing his fifth season in the bigs, already he is appearing to be headed into rare air known as the “H” word, as in the Hall of Fame. Not yet, mind you but if Ramirez can stay healthy, I think you may see him as one of the best shortstops for years to come. I always would give the nod to Jimmy Rollins as the overall best, but Ramirez is just under the top spot in this position in my opinion. So there you have it, the best players ranked according to what I think in the NL East, next up by this weekend an overall look at the entire outfield of each National League team and how I rank them against one another in the NL East. My thanks to Jeff Wittwer who is a writer on my blog that suggested we post our best picks for the NL East by position, read Jeff's post here on his blog on the Phillies. I have got the new nickname for Kyle Kendrick. KK was very publicly demoted yesterday and with the latest quote being reported, Kyle said, "I'll be back." His new nickname is "The Terminator". Kendrick seemingly was on his way to challenge Cole Hamels only a year ago or so, and with this latest development, Kendrick seems to be sliding down that ladder from the majors and into the minors again. Nothing can be more humiliating as a pitcher who has had success and wins in the majors and then starts to fade. What happened to Kyle? A lack of confidence and the pressure of making it to the 5th starting position could have something to do with it. He started his fall a long time ago during last season. He suddenly went from a Greg Maddux style of pitcher to a guy who couldn't get anyone out. Command problems? Control seemed to be ok... what happened to Kendrick? Maybe he believed too much of the hype that started to build around him, he perhaps was distracted by all the attention given to a World Series team? I don't know for sure, and I do know that his slide happened to start way before the Phillies entered the World Series, but will Kendrick be back with the major league club? Only time will tell. Will the Phillies repeat as World Champions? Time and their play on the field will tell us that, but for now you can listen to our Major League Baseball Picks Show 2009 - hear all about the teams that will be there in October this year. The Yankees look like a powerhouse, and the Dodgers, and the Cubs are out for revenge. Hear all about our 'surprise' teams... the sleepers of the bunch that may wake up and take it all! Phillies mechandise that is green is always sought after by the most serious Phillies baseball fans around... St. Paddy's Day is an opportunity if the conditons are right to sports that green Phillies shirt, or hat.... 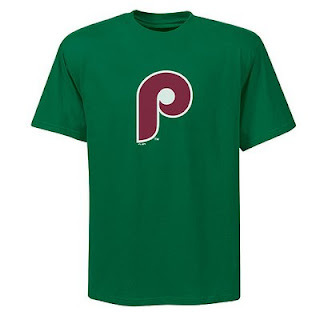 I've always had a problem finding Phillies green wear and if you have that problem too, just click here and you'll be transported to the MLB Phillies Merchandise site, so you can be ready for next year or the next time your inspired for the 'wearing o' the Green! The 3rd base position has historically been a strong point for the Phillies for around 20 years when Mike Schmidt anchored the base in the 70's and through the 1980's for the Phillies. After his departure, the Phillies had a couple of real good players to play the position but of course no one could hold a candle to Schmiddy. Schmidt departed in 1989, and he was succeeded by Charlie Hayes in 1990. Charlie was a fan favorite, but he stayed with the Phils for only 3 years. Another somewhat of a fan favorite Dave Hollins took over for Charlie and gave a bit more offense to the Phillies as well as good defense. Fast forward to the last couple of years and the Phils have had a number of different players at the base, David Bell and Abraham Nuzez and most recently, the fightins brought in Pedro Feliz who was lucky enough have been picked up by the Phillies and win the World Series all in the 2008 season. Feliz has brought better defense to the spot and somewhat respectable numbers in offense as well. He hasn't blossomed into the full player in both offense and defense that some people thought he would, but hopefully his off season operation has healed and he can become that great player that he could be. Everyone isn't a superstar though, and that's what makes a team. It's the little things that often go unnoticed that often complete the team and bring the team greatness as a whole rather than just having a bunch of individuals like Yankees have assembled and expect them to be a championship team. Enough of my ranting about the Yankees, I will have all year to do that in this blog, I can't wait. In fact, I hope to rant about both NY teams as they have become big bloated balloons that eventually will burst at the weight with all those pricey salaries in their quest to 'buy' a championship. I am late in posting my depth chart for both 3rd base and shortstop so this weekend I hope to catch up with this preview as I've been so busy lately I haven't had time to write too much as this isn't my 'real' job. Phillies - (my 4th overall best third baseman in the NL East) Pedro Feliz - Pedro is a decent player. He hasn't done all he is capable of doing and this could be the break out year for him. He is getting a bit on the older side though, and his injury to his back concerns me. He played in 133 games for the Phils last year. He produced slightly better HR's and RBI's that the average 3rd basemen in the league last year, let's hope he can improve on that this year. He gets my vote for 4th out of the third basemen in the NL East, but he fits in well with the Phillies who already have a lot of offensive pop. Mets - (My 1st overall best third baseman in the NL East) David Wright - Wright is a cornerstone at 3rd base for the Mets. A lot of Mets fans say he doesn't produce when he needs to though, that is come through in the clutch when it matters. He still produces numbers though and that's what makes you great in this game. The same can be said about Ryan Howard, he has great numbers though he strikes out almost 200 times a year. The numbers though he produces directly impacts his pay scale and the measure of greatness. Wright is an All Star, a franchise player and he gets my vote for best in the NL, slightly over Chipper Jones. Braves - (my 2nd overall best 3rd baseman in the NL East) Chipper Jones - What can you say about Jones, he is a future Hall of Famer and the center of the Braves team for offensive power. He was almost my first pick for all the third basemen in the NL East, but I am giving my vote to the younger and hungrier Wright who I think will eclipse Jones for offensive numbers in the regular season this year. This will be Jones 16th season as a Brave, he is a rare player that will retire with the only team he has played for. In this day and age, that's not easy to do. A lot of teams don't want to stay with one player that long. Chipper is one of the last survivors of the Braves when they were controlling the NL East in the 90's. Larry Wayne Jones is his real name, and he gets my pick for 2nd best of all third basemen in the NL East. Nationals - (my 5th best for 3rd basemen in the NL East) Ryan Zimmerman - a good all around player, too bad he's on a team that may lose 90 games this year and the GM of the Nationals resigned from the team. The Nats are pesky to the Phillies, Zimmerman was injured last year slightly he may bounce back a bit this year though. Marlins - (my 3rd best for 3rd basemen in the NL East) - Jorge Cantu - Jorge put up great numbers last year, he's getting better all the time. I look for him to challenge the top two picks in the near future for overall worthiness at 3rd. Jorge is on the verge of becoming a household name as perhaps a breakout year awaits. I've always thought the Marlins were scrappy, they always seem like they have something going for them, as opposed to the Pirates who seem to be in mothballs all the time. I inadvertently included the Pirates in my NL East lineup originally, I would love to have the Pirates back in the NL East, they left the East in 1994 and went of course to the NL Central. Thanks to LDPhan for pointing that out! David's MLB Blog, hey David, you haven't written anything here for 3 years... too much of a 'star' now? The Phillies Talk podcast explores the World Baseball Classic 2009, which is underway around the globe at different venues now! What is going on in Spring Training down in Florida? The Phillies look to repeat as NL East Champions, who is predicting the Phillies are the team to beat now? 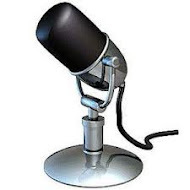 The answer may surprise you.... All this and more with Rich Baxter and the Phillies Talk internet web broadcast and podcast! Today Jimmy Rollins and Team USA will be playing against the Phillies as the World Baseball Classic team USA will play the Fightin's in exhibition baseball at Clearwater, Florida. The two teams will meet at 12:05 at Brighthouse Field in a tune up for the USA team that will face Canada in the first 'round' of the World Baseball Classic on March 7, 2009 in the Rogers Center, Toronto Canada. The Classic is something I didn't think I would be too interested in, but it has grabbed my attention of late. The Classic starts at all corners of the globe: The Asian teams will play in Tokyo, a strange grouping of teams will play in Mexico City, others will play at the Rogers Center, Toronto, and still more will play in Puerto Rico. These are the venues for Round One, the teams that advance will move exclusively to the US for the second round. Venues for the second round will be San Diego's Petco Park, Miami, Florida's Dolphin Stadium, and the finals will be in Los Angeles at Dodger Stadium. How can you not like the USA team? Names like Jeter, Chipper Jones, Pedroia, Rollins, Wright, Youkilis, Victorino, McCann, and Granderson. 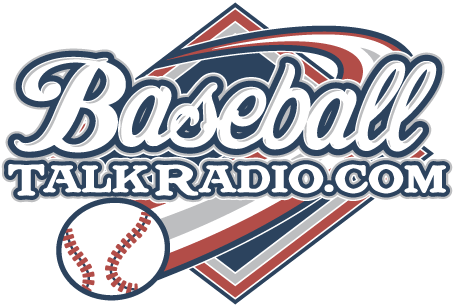 They will be taking on the mighty Philadelphia Phillies this afternoon and you can listen to it live over the web, but you need a subscription to MLB radio for $14.95 - but that will get you audio for the whole season as well. You can also watch games live, just go to www.worldbaseballclassic.com and sign up for the $19.99 plan for the over the internet live broadcast plan for the games of the WBC for the regular games schedule of the WBC (not including the game for exhibition with the Phillies). ESPN, ESPN2, and the MLB Network will be televising games on tv as well. The Phillies whipped up on Team Canada on Wednesday, 9-2. The Phils displayed some awesome offense in how the Phillies won a lot of the playoff games last year, with the home run! Raul Ibanez doubled with the bases loaded, I can't wait to see him play in the regular season, and I hope he saves some of this for the regular season! Don't look now but the Phillies are well on their to continue their winning ways with their third win of spring training and third win in a row. When things go right for the Phillies, they really go right. Raul Ibanez shook off his .200 average and smacked two doubles today which is awesome and I will love to see this in the regular season. Forget the huge snow storm we had in the Delaware Valley today, we're only about 33 days away from opening 'day' or night as it is being called. This foot of snow and 12 degrees at night will be but a memory. Speaking of memories, I remember a certain Phillies blog is supposed to be coming out of an extended hibernation today or tomorrow. 'A Citizen's Blog' by Mike Berquist is coming back to the blogosphere and I would like to welcome him and the blog back to the scene! Good luck Mike and I am looking forward to reading your posts.